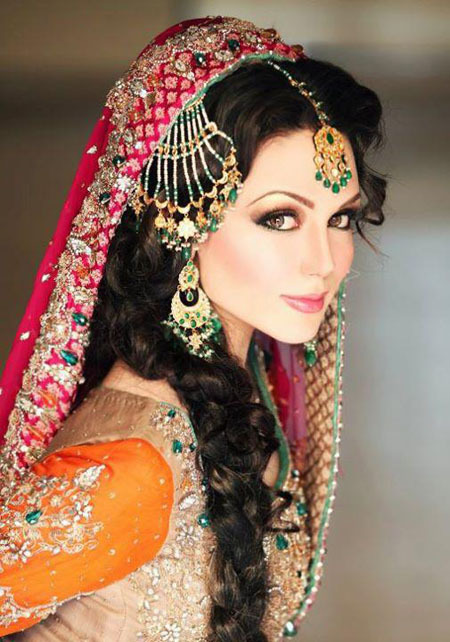 Here is a gorgeous Pakistani Bridal look in which any muslim girl would look stunning during her Nikah/wedding. We loved the jewelry and makeup as well as the hairstyle of the bride in picture here. Also the combination of dark pink dupatta with orange choli seems to be a combo to die for. We like! So girls! Would you flaunt this look on your wedding day?